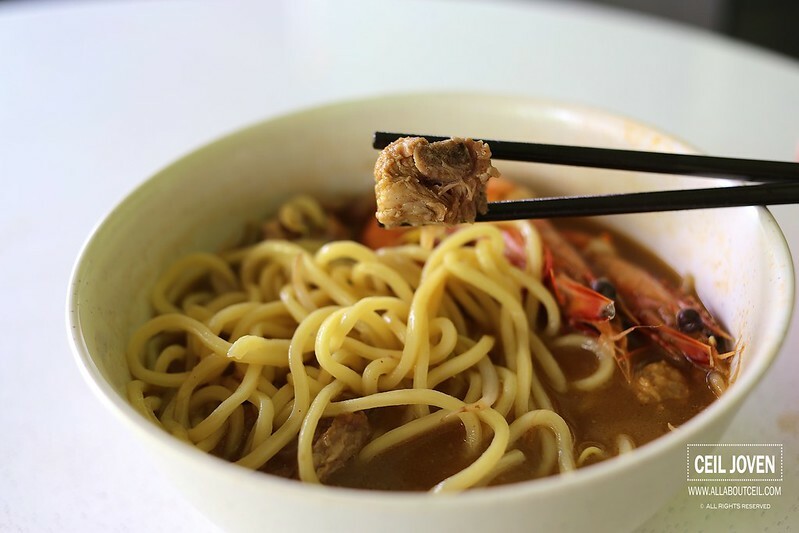 ALL ABOUT CEIL: Penang Kia Prawn Noodle : The Generation Y Prawn Noodle! 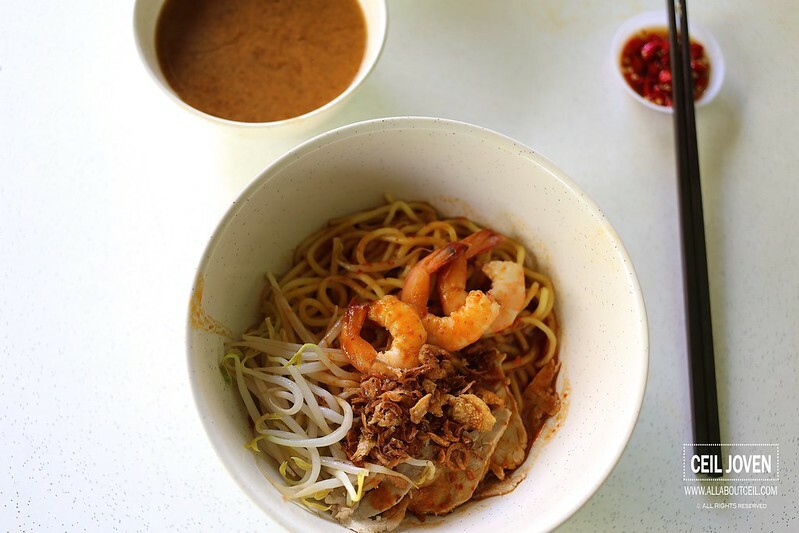 Penang Kia Prawn Noodle : The Generation Y Prawn Noodle! It is heartening to see Generation Y venturing out in hawker trade. This is a humble stall by a beautiful couple that used to be SIA ex-cabin crew. 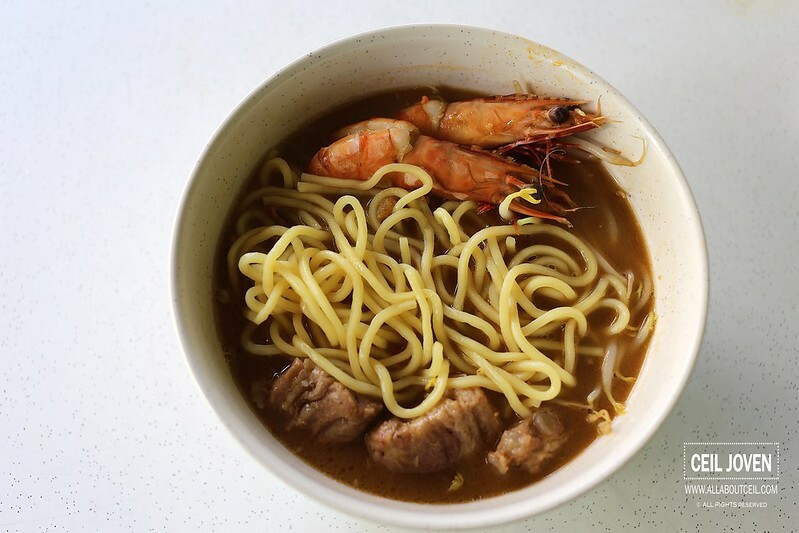 They decided to quit and start this stall offering Penang style Prawn Noodle. The wife originated from Penang and her father used to own a stall there and she used to help out at the stall. When chatted with them, i asked, 'What got you to decide to start this stall? It's an entirely different trade from what you used to do." The husband said, "Age is catching up and we wanted something more stable." 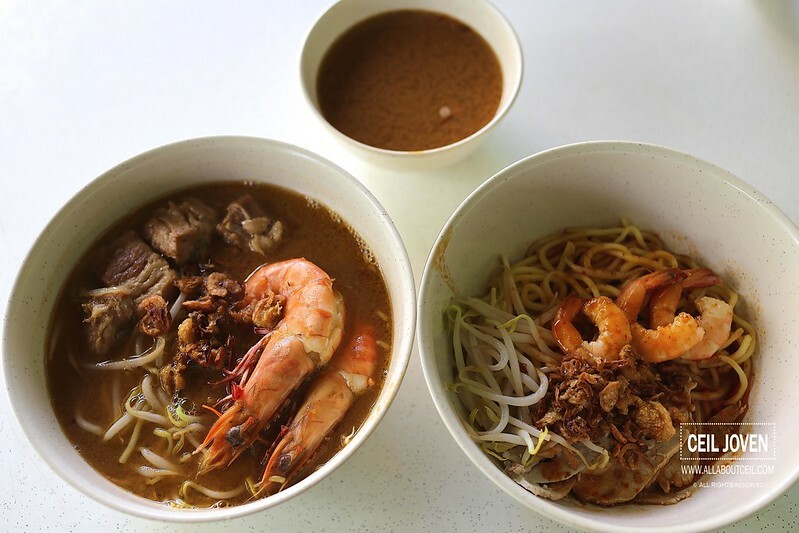 I decided to go with the Penang Prawn Noodle at $3.50 and the Prawn Noodle with Pork Ribs at $8.50. It was cooked by the husband. I could tell that he was making an effort to get the noodle to the right texture. 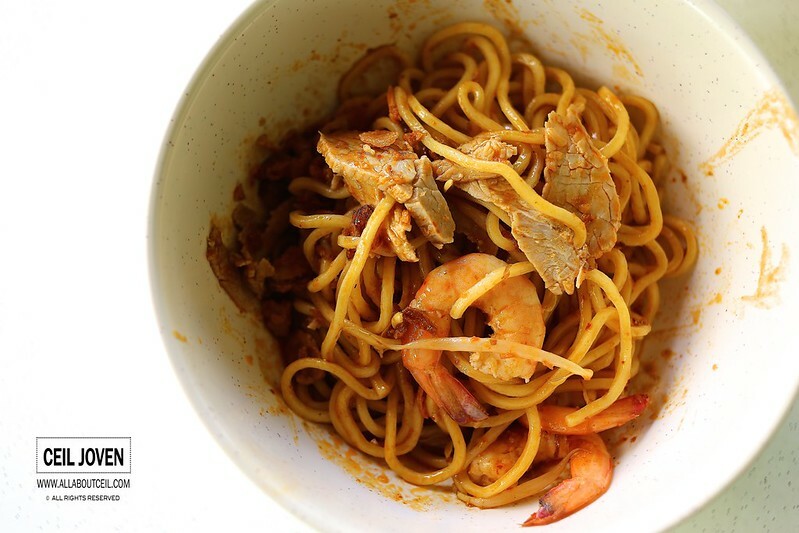 The larger prawns were cooked upon order so a certain waiting time is expected. 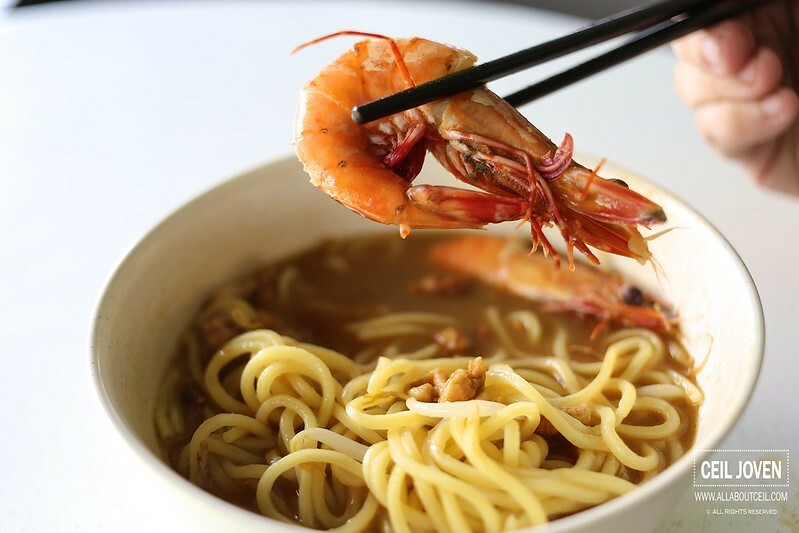 Though $8.50 might sounds a little pricey but the freshness and size of the 2 big prawns presented with the noodle are worth the value. They are even making an effort to cut the back of the prawns to remove the vein to clean it well. Most hawkers do not do it these days thus such an effort is definitely worth commendable. 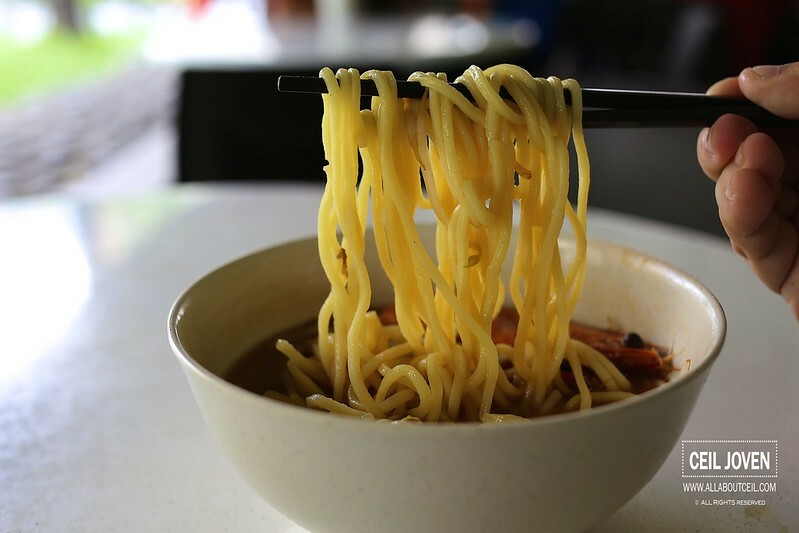 The texture of the yellow noodle was slightly softer but still acceptable. 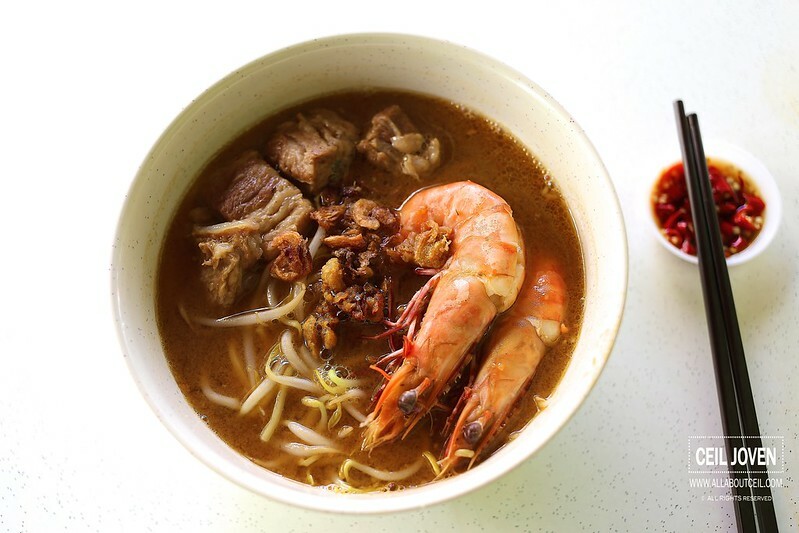 The broth was flavorsome with quite a concentrated prawns taste with full of natural sweetness and it was served at the right temperature. 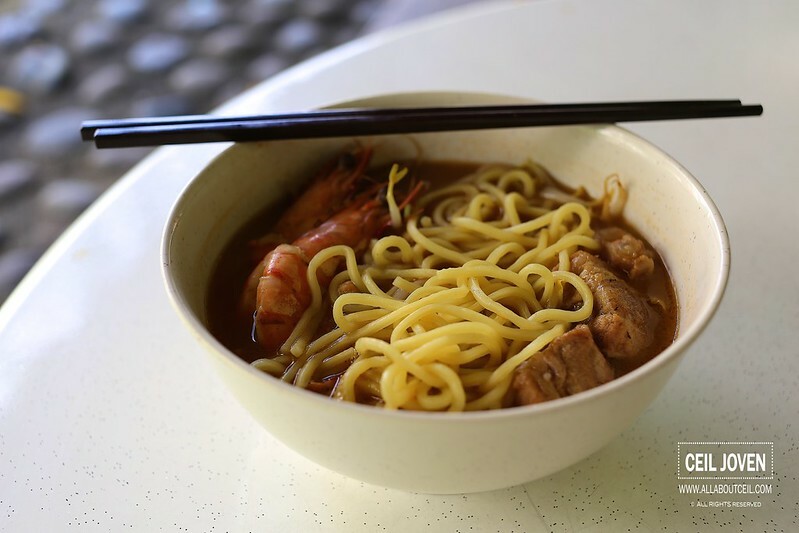 The key of a bowl of good Prawn Mee lies with the intensity of the broth. The texture of pork ribs was really soft and it pulled effortlessly away from the bone when biting on. Bites of pork lards were added to enhance its flavor. 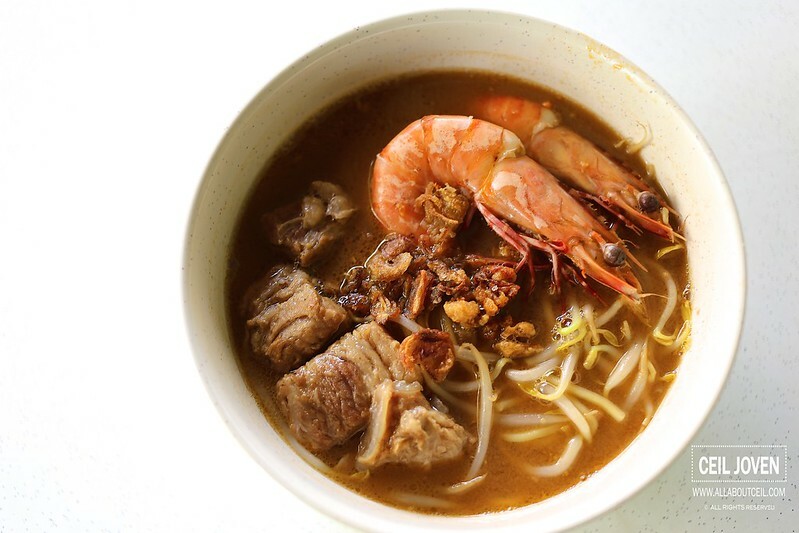 The Penang Prawn Mee at $3.50 came with 3 pieces of medium-sized prawns and slices of lean meat then topped with dried shallots and handful of bean sprouts. The level of spiciness for the chilli powder is not too underestimated. It was quite spicy for me though i have a pretty high endurance for spiciness. When asked why did they choose to serve the dry version when it is not available in Penang? They mentioned that this is an adjustment to better suit the preference of locals. They started without it but too many customers have been asking for it so they decided to have it on their menu. I was told they used to fry the prawns first to release its flavor and it gotten the size of those prawns to shrink quite a bit. They decided to stop doing it as some customers felt the prawns were too small in size thus not quite worth the value. 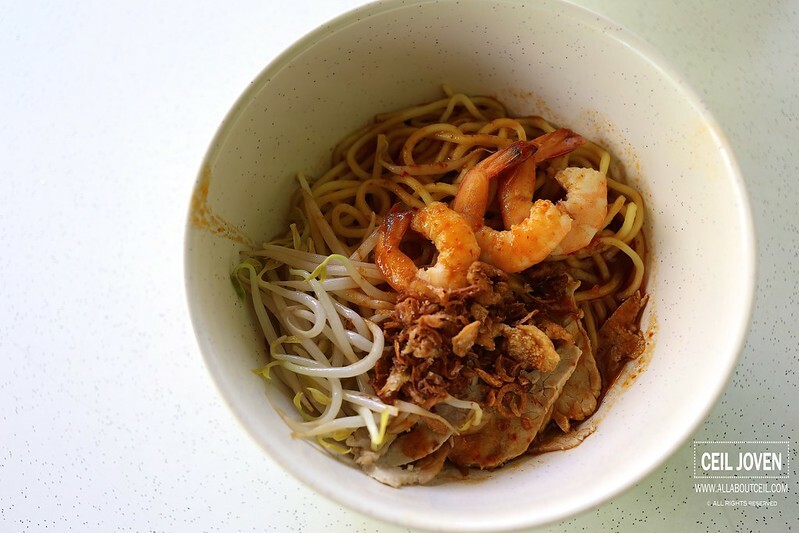 They opted to use fresh prawns to replace the dried shrimps that often find in the Hokkien Mee (that is how it is called over in Penang) in Penang. Both version are equally enjoyable. They are hoping to see progress in their stall and they have dream to open a shop in Kuala Lumper. 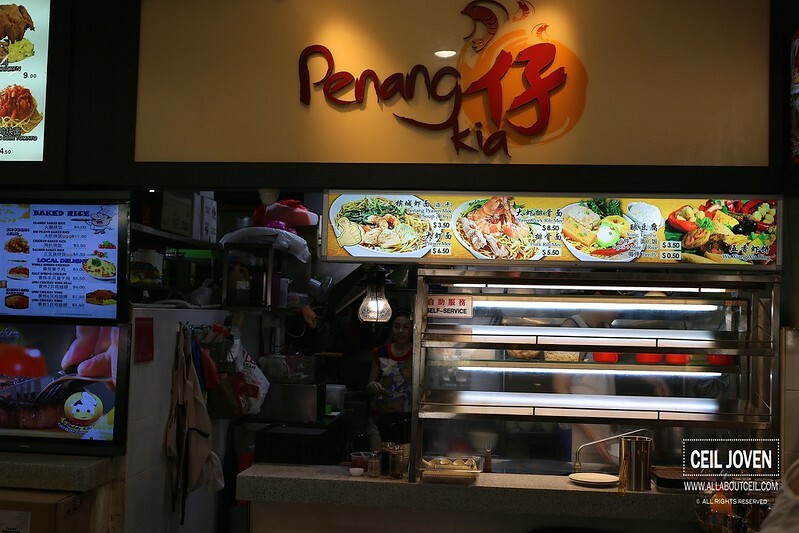 We talked about the high rental, the manpower issue and operation costs in running a F & B business in Singapore and that contributed to their decision in wanting to expand their business to Kuala Lumper and not in Singapore.